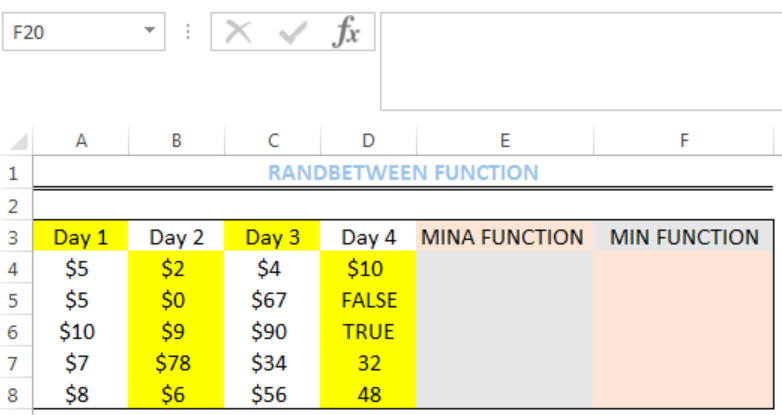 We can use the excel MINA Function to get the LEAST VALUE in a range of cells. The values could be numbers, text, and logical text like TRUE or FALSE. TRUE is read as 1 and FALSE is read as 0 by excel. Text values are read as 0. The steps below will walk through the process. 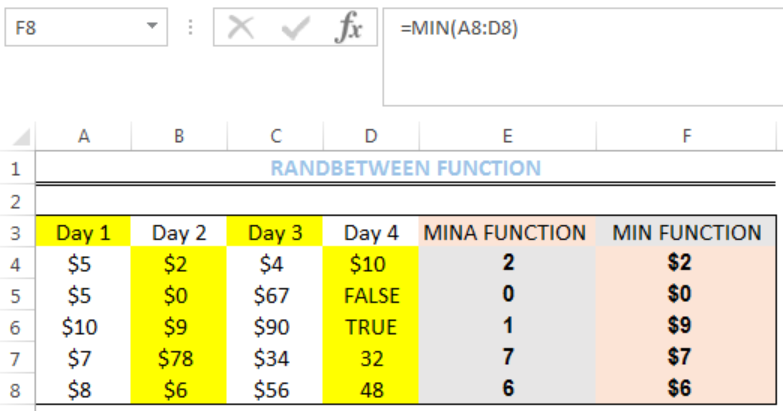 Unlike the EXCEL MINA FUNCTION, the MIN FUNCTION returns only numbers. 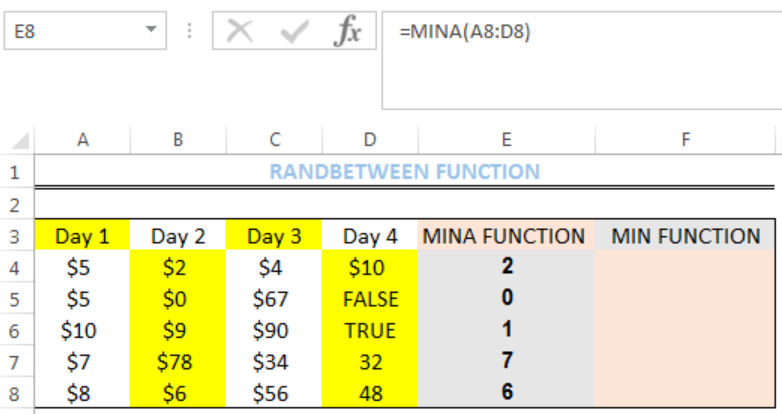 The Excel MINA function checks the range for the lowest value, including logical text and text values and returns the least value. 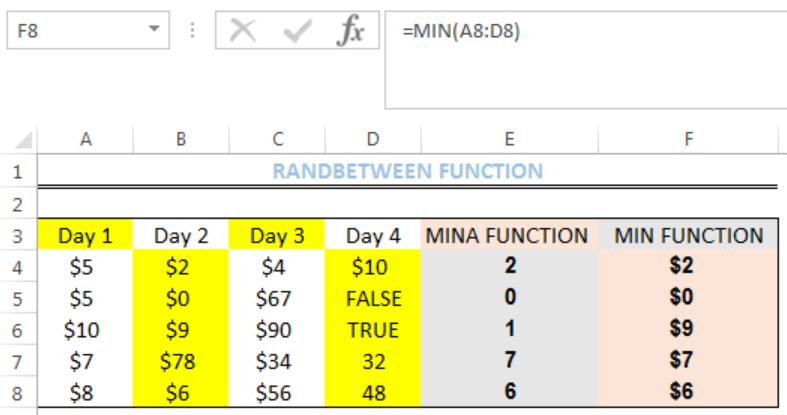 If arguments contain no numbers, the Excel MINA function returns 0. It also ignores empty cells. 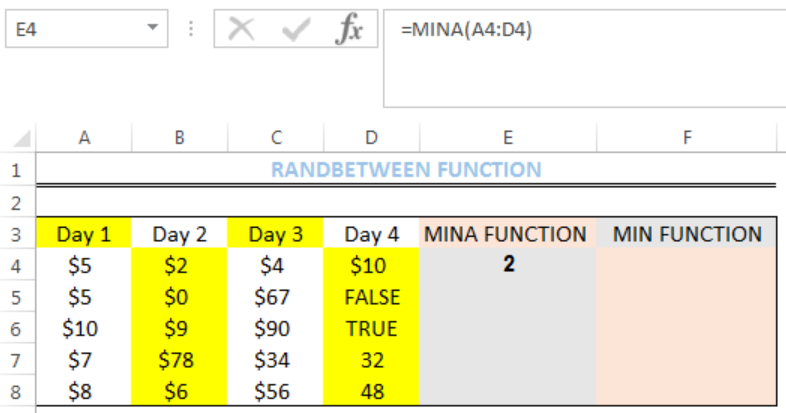 The Excel MINA function accepts up to 255 arguments.